Welcome to the NET – an Earth-like virtual-world, where you surf in person and every Earth hour is a full NET day. A place where you can spend long hours preparing for a test, and lose only a few Earth minutes; or, own a magnificent NET-estate, and entertain friends from all over Earth for a weekend – each of them would lose only a couple of Earth hours! But strange phenomena begin to occur in the NET: Surfers suffer memory loss; NET facilities are being attacked; and a hacker is kidnapped to a mysterious site named Hell! Will Babel, the NET security unit, realize the real danger? Can fifteen-year-old Troy Bentley and his bio-computer and best friend, Flint, save the NET? Gur Shomron is a successful high-tech entrepreneur and cyber-engineer who turned to writing. 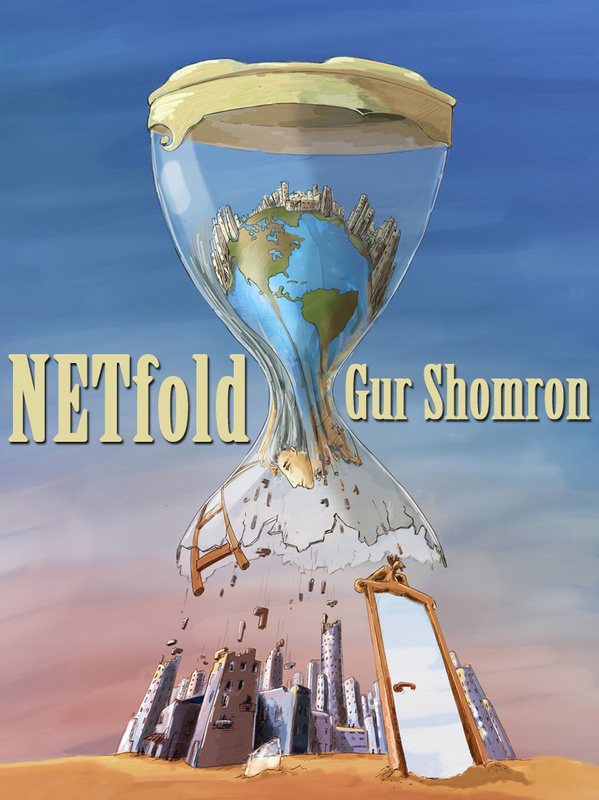 In his first novel, NETfold, Gur created a new world, where human abilities and fulfillment are magnified many-fold.